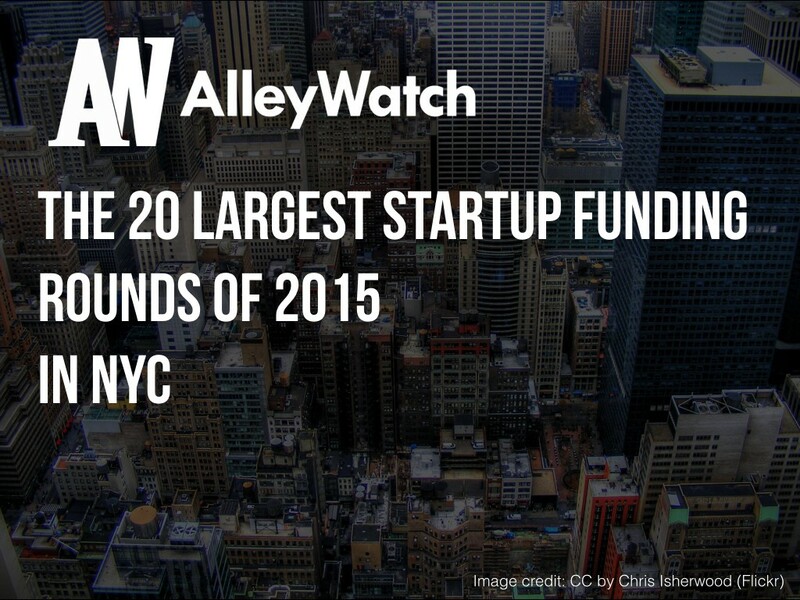 This week, I take a look at the 20 companies that have raised the largest startup funding rounds in New York City in 2015 using some data from our friends at Crunchbase. In addition to dollar amount, I have included industry, round, and investors in the round to further the analysis. As I know that all of these companies are hiring, I have included the number of open positions that are available at each as of the time of this writing, according to their respective websites. I am hopeful that this will be useful for the job seekers out there and I am sure that the service providers will use this information for their own benefit. Lastly, in order to maintain a focus on conventional tech startups, pharmaceutical, biotech, real estate, and lending companies were removed from the data.